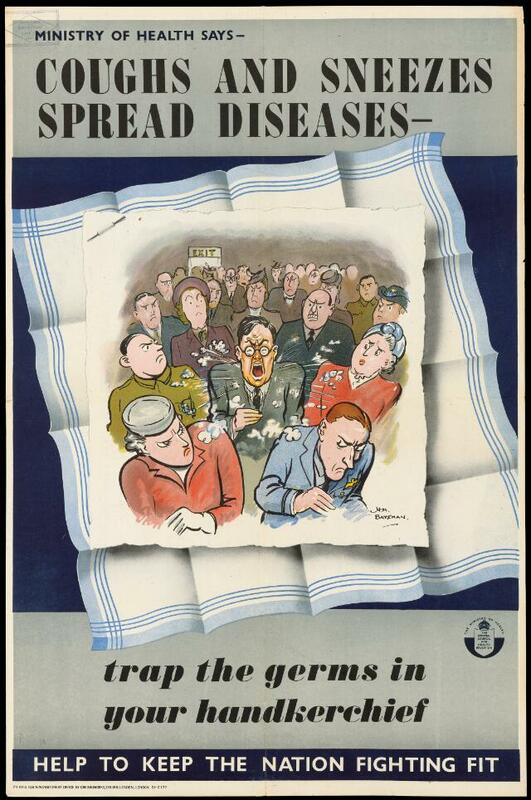 The use of handkerchiefs to prevent against diseases, shown by a man sneezing in a cinema. Colour lithograph after H.M. Bateman, ca. 1950. Coughs and sneezes spread diseases trap the germs in your handkerchief.